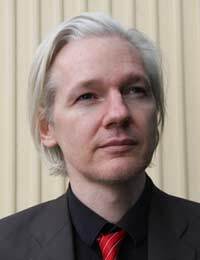 Wikileaks , Julian Assange's whistleblowing website is probably best known for being responsible for leaking sensitive information that governments and the military don’t want people to find out, so you might think that many big businesses would prefer to distance themselves from such activities. This would seem to mostly be the case, although there are certainly opportunities coming up for the corporate world to become involved with helping some of the website’s potential targets instead. Although Wikileaks really exploded into the public consciousness in 2010, after sensitive military information was uploaded to the site, the military are not the only people affected by insider information leaked to the site. Back in January 2008 a cache of documents, which included correspondence from a major Swiss bank, Julius Baer, was uploaded onto Wikileaks. The correspondence seemed to show sums of money which ranged from $5m to $100m were being hidden in the Cayman Islands – keeping it well away from the beady eyes of the tax man. There is a legal loophole which lets wealthy people put their money into Cayman island based trusts so that they don’t have to pay any tax on profits from their investments as the trust is officially a resident of the Cayman Islands – where they don’t pay any tax. The trustees then distribute the cash to beneficiaries of the trust. Although it’s legal, the wealthy aren’t exactly keen on details of their tax evasion being broadcast. The banks that carry out the money juggling aren’t over happy about their activities being made public either. Julius Baer were incensed at the sensitive data being leaked, and got lawyers involved. The lawyers persuaded a judge in California to shut Wikileaks down and thought that would be the end of the nasty little matter. WikiLeaks didn’t take the ruling lying down, and before the bank could stop them, replica sites were appearing across the net, with the very same material published on them. Americans started citing the First Amendment and the case hit the headlines, so the dealings of several very rich people and a Swiss bank became global news. The judge who shut the site down decided to reverse the decision and wikileaks.org was restored. It’s only a matter of time before sensitive data from another bank is likely to be ‘Wikileaked’ and in 2011, rumours surfaced that there was an expose in the offing that concerned the Bank of America. With the knowledge that Julius Baer didn’t fare very well against the might of the First Amendment and Wikileaks, some canny consultants and even PR and Crisis management firms are starting to look at ways of getting in first before their cover is blown. The lengths that big businesses are willing to go to became apparent when a group of activists hacked into an internet security firm’s servers and posted their internal emails online. Some of these messages went into details about how the firm could work with another two companies to proactively pitch for work from the law firm that represents the Bank of America. One of the documents was a PowerPoint presentation which went into detail about the pitch the companies were planning, as well as the three companies involved. The three were talking about what they called, ‘Potential Proactive Tactics’ which went as far as carrying out cyber attacks against Wikileaks’ infrastructure to get hold of the data held on document transmitters and putting a team together to get access to servers in France and Sweden.